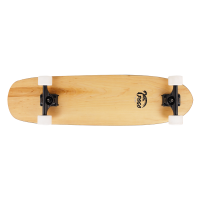 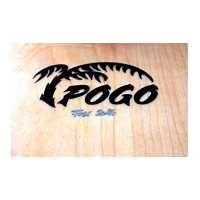 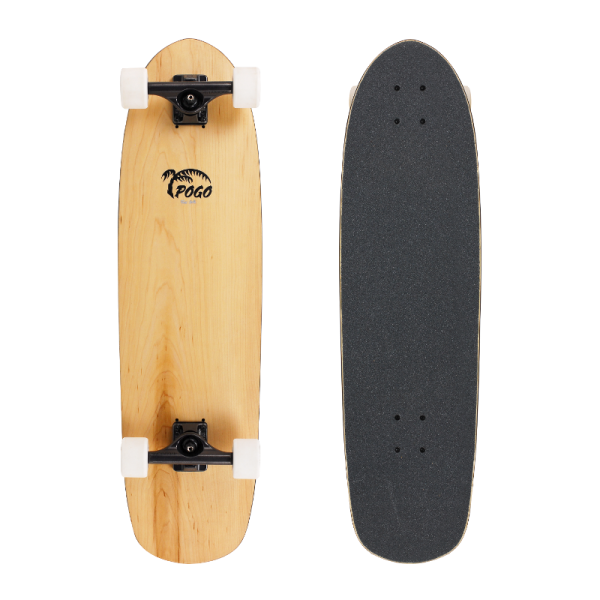 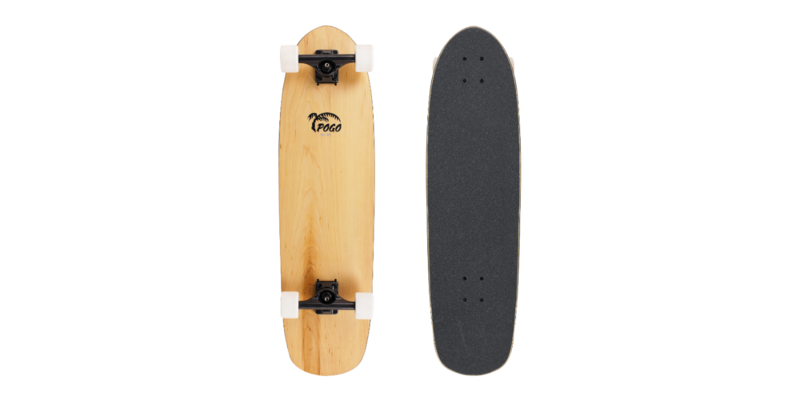 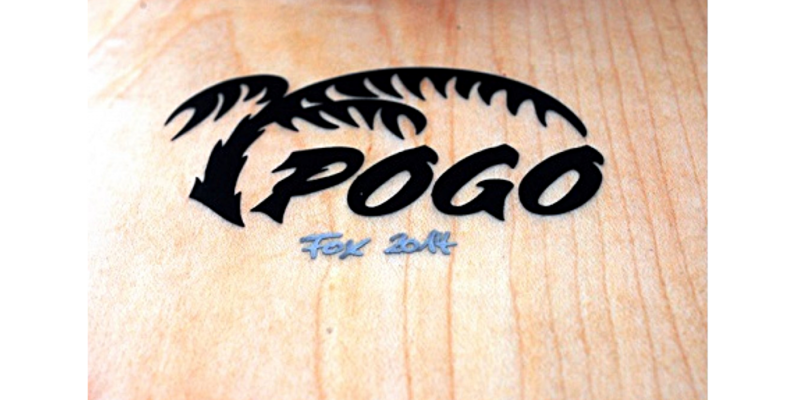 The POGO Fox is an ultra-light allround board and perfect for traveling. 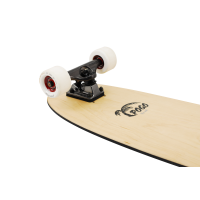 The Fox is a shorter ultra lightweight board always ready to do whatever you want it to. 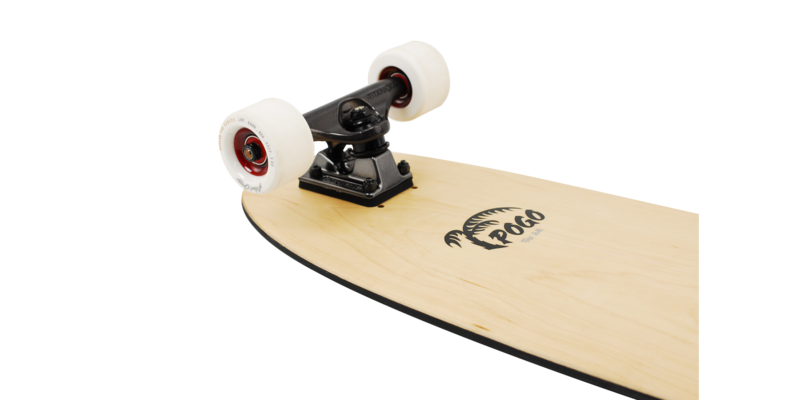 Just cruising, carving around on the way to catch the tram in the city, ripping a skate bowl or making some fast slides. 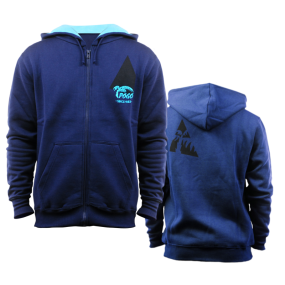 Pull your moves with easy elegance. 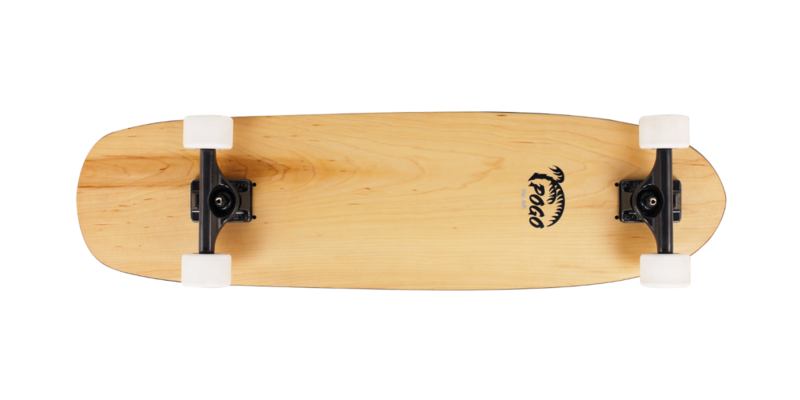 Don't be mistaken by the simple and classic look, the charm of this board is defined by quite some technical highlights. 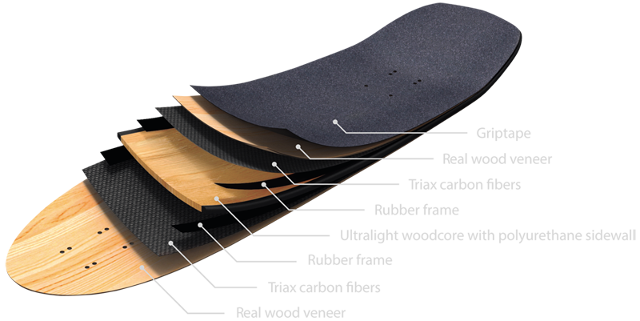 A forceful conversion of lightweight technology, with a vertically laminated lightweight woodcore and a carbon top and bottom sheet, in combination with an all around polyurethane protection, create a board easy to carry, agile to steer and resistant against all kind of impacts. 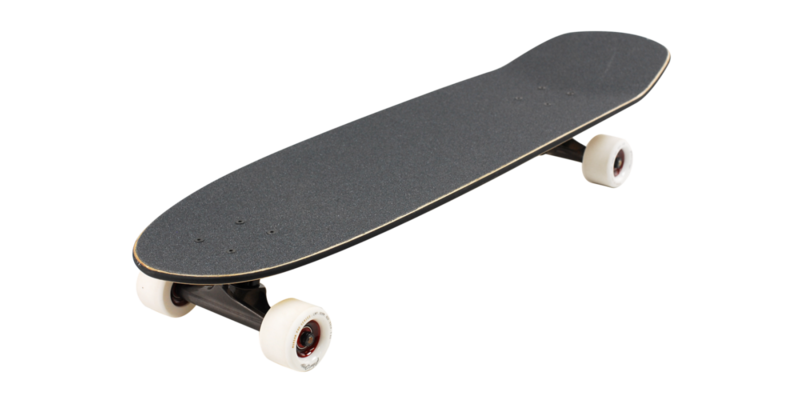 To sum this all up, as the Fox is ultra light and versatile, this is the board you never want to travel without from now on. 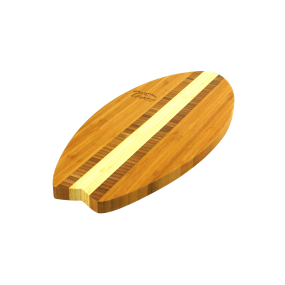 -Optional Shaka hardwood tail protection...in case you want to brake with your tail! 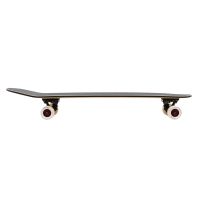 Setup: Destructo D2 Lite 133mm, Bloodorange Liam Morgan pro 65mm, ASK Abec7 bearings. 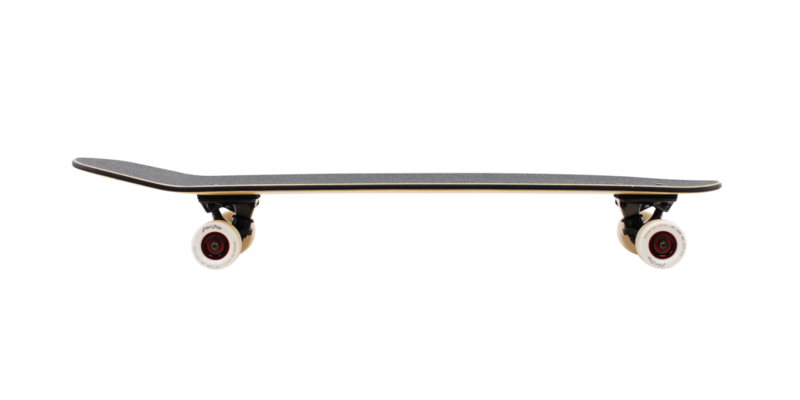 Setup can vary from the pictures.